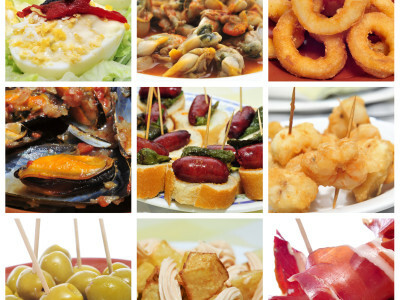 Overview: Flamenco, Tapas & Fiesta! When you imagine you and your girls partying on a hen do in Barcelona, you probably see sun, sangria, awesome clubs and amazing colours… Well, this has it all! You will kick off your fun-filled fiesta with an amazing tapas meal. The delicious variety will take you on a dreamlike culinary journey through Spanish cuisine, made all the better with sangria! Among locals and other party-goers alike, you and the girls will be blown away by an awe-inspiring flamenco show. The colours, movements and music will immerse you all as you enjoy more drinks. The energy is infectious and by the end of the performance you and the girls will be ready to head to one of Barcelona’s hottest nightclubs and dance the night away! Ay caramba! Estimated time: 2-3 Hours aprox.